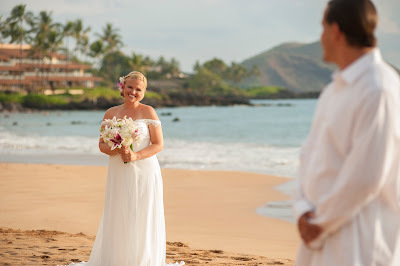 Sometimes a girl just needs to get her wedding dress on and book a session with our photographer on a killer beach in Maui. We can handle that! 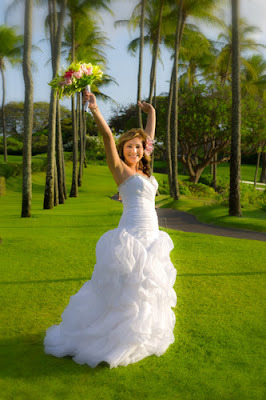 While we are a full service wedding planning company, we also specialize in professional Maui portrait photography. Most of the sessions we book, when a client may already be married as in Ry's case, last an hour. We schedule the session for the hour before sunset, when there's plenty of light, and shoot until the sun drops below the horizon. 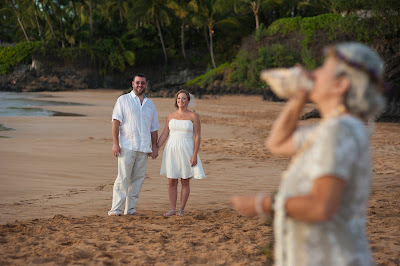 This is the perfect time to shoot, the "golden hour" as the light softens, the temperatures cool and most beach goers are heading back to their hotels leaving the beach to the lucky couples celebrating life in Maui. 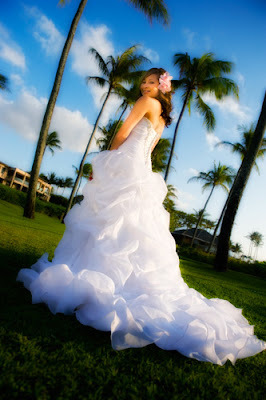 If you feel like packing the dress on your honeymoon to Maui, give us a call to book a professional photo session. We can arrange for in room hair and make up, floral arrangements, etc. We can also give you some great suggestions for dinner. 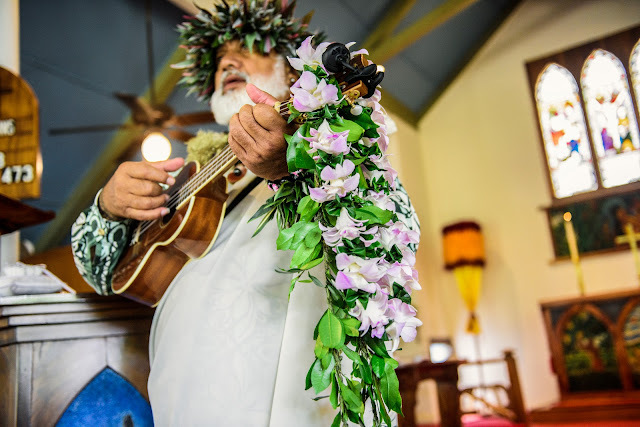 Marry Me Maui Wedding Planners and Joe D'Alessandro Photography, a winning combination. 1-800-745-0344.